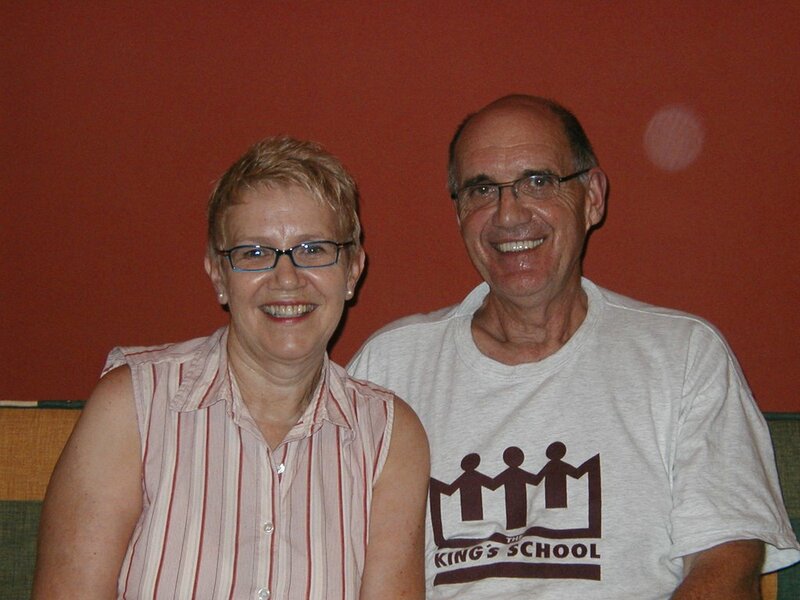 I received an email today from fellow Missionaries in Cofradia, Doug and Jan Taylor. Please remember them in your prayers. Its Saturday morning and I (Doug) am sitting in the hospital trying to keep busy while recovering from surgery last Monday. I don't know how soon I will be able to get this out because we do not have an internet connection here. I know some of you have been kept up to date on my progress but many of you have not. This whole "adventure" began a few weeks ago when we were scheduling an endoscopy for Jan with her Dr. Montemayor in Guadalajara. He was trying to determine the cause of her gastric problems which were not going away. We thought that as long as we were going to be in Guad for a few days it would be a good opportunity for me to have a colonoscopy which my Dr. in Winnipeg had recommended 2 years earlier. He felt that because of my age and a history of colon cancer in my family it would be a good check. We were very confident in Dr. Montemayor and since it was much easier to schedule in Guadalajara than in Winnipeg we booked it. The day came and Jan had her endoscopy first while I waited in a waiting room. My turn came and when I came out of the anesthetic I was expecting the Dr. to tell me everything went well and he would hand me my personal copy on DVD. Not so. The colonoscopy did not go well and had to be terminated because of severe diverticulitis (small outpouchings of the large intestine) which prevented the probe from moving up the colon. Dr. Montemayor scheduled a barium enema xray a few days later. Both of these tests required colon cleansing which meant going for a full day of nothing by mouth except clear liquids as well as a strong oral laxative. The xray confirmed the diverticulitis was very severe and further up the colon than the colonoscopy had shown. It also showed that the descending colon which is normally of the left side of the body, for some reason was on the opposite side. There was no indication why this should be and after an examination Dr. Montemayor was convinced that there was no mass or tumor. He ordered a catscan which confirmed there was no mass and so we decided to go ahead with a laproscopic surgery to remove the diseased part of the colon. This appeared to give the fastest recovery time, less opportunity for complications and lowest risk. Dr. Montemayor was sure to indicate that there is always a possibility of having to convert to open surgery but we were believing that I would not need this. The surgery was slightly more complicated because of high blood pressure and so I began a 5 day preparation which included BP checks twice a day, soft diet for 3 days and clear liquids and oral Fleet enemas for 2 days before checking into the hospital for the final day for one more day of liquids and final cleansing treatment. My surgery was on Monday. It was considered to be a major one as they cut away nearly half of my large bowel and did an anastomosis to join the non-divirticular parts back together again. The operation should have taken about 3 hours. Jan was left in my room at 8:30 am and I did not come out of surgery until after 7 at night. Dr. Montemayor and his team operated for 9 and a half hours. It was a real mess and they had to stop the laporoscopy surgery and convert to an open one where they would have more space to work. There was large bowel (because of previous infected diverticulitis) stuck to my appendix, my spleen, some parts of my small intestine were also affected. We are so grateful to our doctor and his team. Most others would have just taken one look at the horrendous amount of work, cutting and setting my organs free, that they would have just left it and put in a permanent colostomy (bag). I am recovering slowly. Tuesday, Dr.Montemayor stitched in a central intravenous line threaded into the veina cava (under my collar bone). Dr. Montemayor and an internal medicine specialist here in the hospital felt this was necessary for my liquids that theyth are giving me to be able to be better assimilated into my systems. I am on a protein, glucose, lipids and a host of other things including antibiotics and medicine to prevent gastritis . They are keeping me on many pain injections as I need to start moving. Because of such a long surgery, it is important that my lungs and vascular systems work well to help in this fight and so that there are no more complications. Wed was a rough day. I was nauseated most of time and had little or no energy. I had a bit of fever which really concerned the doctors and after a hour long meeting in my room the 3 specialists determined that the nausea was a result of the medicines, drugs etc and were giving me gastritis. They dropped some of the drugs, changed the antibiotics and gave me something for gastritis. The change was great. I now have energy to get up and walk a bit, and am free from nausea or dizziness. I have had the catheter into my bladder removed and they are talking about introducing sips of water tonight. So far, It seems that everything is working ok. although the real test will be how everything works after I start taking in soft foods and start to eliminate them from my body!! It is still rather amazing to all of us, including Dr. Montemayor, that I have not experienced severe problems beforehand and that none of these infections have perforated. There is still a long way to go...probably a good 3 weeks in Guad before we can return to Cofradia and at least 6 weeks before we can travel to Canada. Please remember pray for both of us. We both need strength and patience for the coming days and weeks. Please pray that the astomosis would heal correctly and quickly, and that my digestive system would work as God intended it to. Pray against infection. Thanks so much for your continued support. Also please pray that our insurance would cover most of our expenses as they are almost twice as high as anyone anticipated. Thanks again. God is Able -to keep that which is commited to Him!